Today, when you order "CHEWING CARD by Stefano Curci", you'll instantly be emailed a Penguin Magic gift certificate. You can spend it on anything you like at Penguin, just like cash. Just complete your order as normal, and within seconds you'll get an email with your gift certificate. 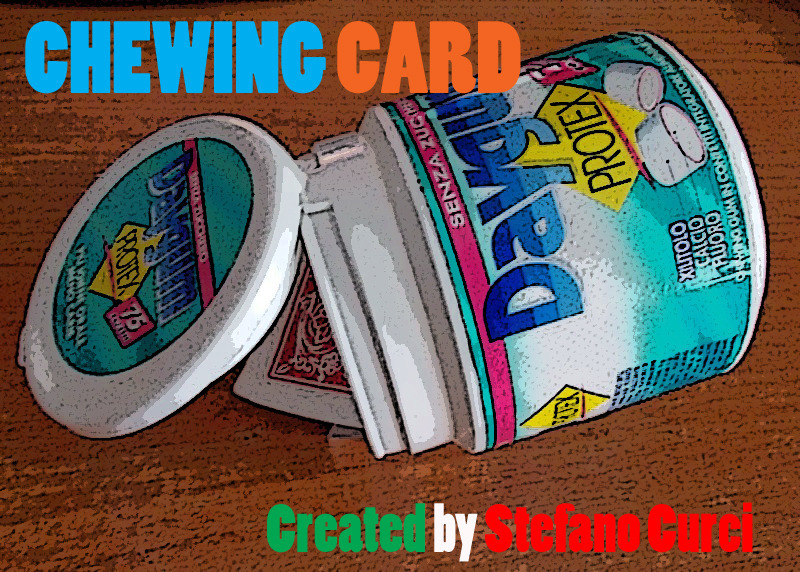 CHEWING CARD by Stefano Curci (Instant Download) Original magic that your audience will love. A new more convincing concept for a classic effect. Prepare it in a minute, use it every day. BASE EFFECT - The magician asks a spectator to choose and sign a card. Meanwhile, the performer offers to the audience a piece of chewing gum. The card is inserted in the deck. The deck is shuffled and cut several times. Incredibly, the signed card is found within the same jar of gum touched by viewers and in view all the time ! FOUR DIFFERENT VERSIONS are explained , with pictures, in the instructions provided . Two versions with empty jar and two versions with a jar full of gum ! Viewers will be able to look inside the jar between chewing gums a folded and signed card , the card can be extracted directly from a spectator without discover anything! You can even let the viewer decide , perhaps with a snap of the fingers, when the signed card disappears from the deck and will enter into the jar : he will hear the noise! Prepare it in a minute. Use it forever. No reset. Can be used any plastic mat container. It's a FRESH IDEA and an alternative to old and suspicious magic boxes normally used in any version of "SIGNED CARD THAT VANISHES AND REAPPEARS FOLDED. The provided instructions are in English and Italian. This magic prop that you are going to use has the appearance of a common object as to not create suspicion. My name is Stefano Curci and I'm an Italian magician. Thanks for your attention. only one word for this amazing effect: awesome. the spectator will say: " WOW.. that's not possible.. it's incredible.. Can I have a chewing gum? :) "
when you'll learn it, you can't do without it.